The Porsche 356 was first introduced with 50 handmade, aluminum-bodied units during 1948-1949. In 1950, the Porsche 356 would be released to the public. Over the next 15 years, the German car maker would see more than 76000 models roll off the production floor. Initially available as a Coupe and Cabriolet, the Cabriolet models were populair for their open-air appeal. If you’re thinking about purchasing a 1953 Porsche 356 Pre-A Cabriolet, the team at ER Classics can assist you in finding the model you want. 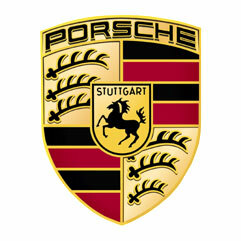 Looking to purchase a Classic Porsche? One of the best tips that ER Classics can offer on the 1953 Porsche 356 Pre-A Cabriolet is to focus first on body condition and second on mechanics. Generally speaking, the mechanics of these Porsches have stood the test of time and are not too difficult to work on. On the other hand, rust can be a culprit. Certain areas of rust are more easily fixed than others; body panels are notoriously difficult. It is important to mention that if you are looking at a fully restored car, be sure to check for signs of rust repair and ask for documentation.